Howdy folks! It's been quite some time since I last updated this blog but I'm here today to share some exciting news. 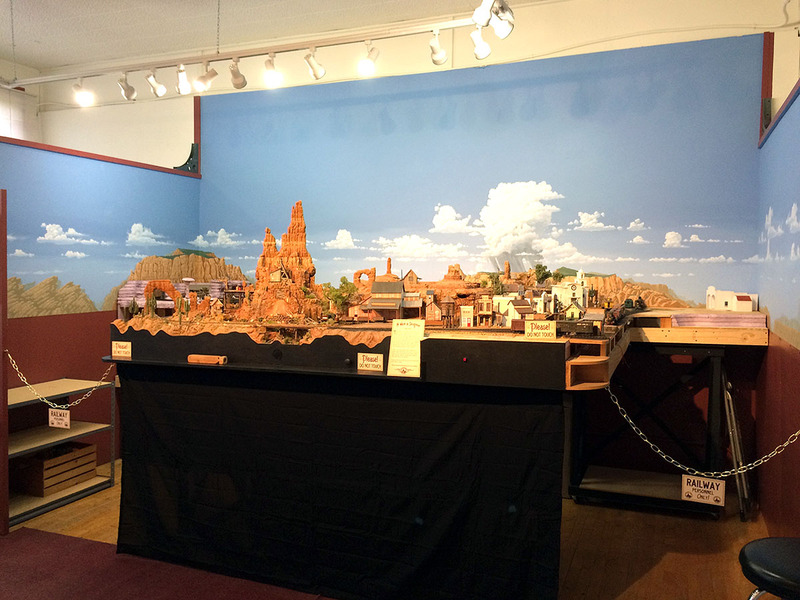 Over the last several months, the Thunder Mesa Mining Company layout has been disassembled, moved, and completely reassembled at my new studio in Jerome, AZ. Thunder Mesa Studio now brings all of my creative endeavors together into a single workshop and showcase that guests can actually visit! Some readers may be familiar with the historic mining town of Jerome, AZ. Known as Arizona's "Ghost City," the charming old town has gone from wild west mining boomtown, to ghost town, and now to artist colony and tourist destination. 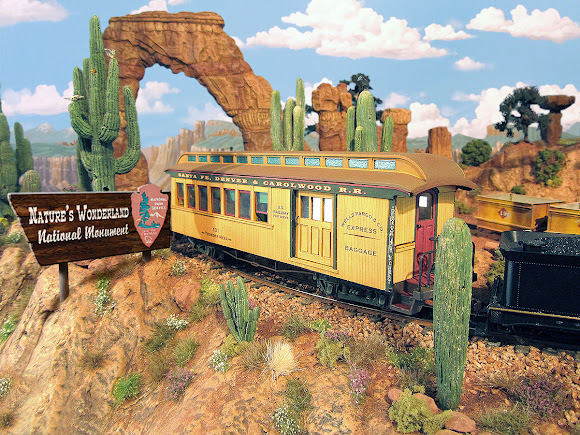 Just across the valley from the famous red rock spires of Sedona, Jerome served as inspiration for John Olson's landmark how-to series in Model Railroader Magazine on "Building an HO Model Railroad with Personality." John's fictional Jerome & Southwestern layout was a huge inspiration for me, and now things have come full circle with the TMMC finding a new home to Jerome. Thunder Mesa Studio is located in the Old Jerome High School Art Center, a complex of historic structures that is now home to many art studios, galleries and workshops. The studio and model railroad are open to guests on the first Saturday if each month, or by appointment (my schedule permitting). This new chapter means that I will no longer be updating this blog. However, I've launched a new website and blog for Thunder Mesa Studio where I will continue to post articles, news, and how-to's about the railroad. This blog will remain online as an archive for the foreseeable future. I hope that the many friends who have patiently followed the railroad's progress here will continue the journey with me at the new site.